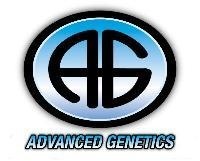 Advanced Genetics is committed to formulating innovative and high-quality bodybuilding supplements. Our products do not hide behind proprietary blends or chase the newest fad; we design them using the perfect combination of science and real world experience. Our products are manufactured in a quality controlled GMP facility utilizing only the highest potency, pharmaceutical grade raw materials.